Applying polyurethane is one of the last steps in any woodworking project. If you've taken the time and effort to prepare the piece, most of the hard work is already done and adding the final finish will be pretty straightforward. 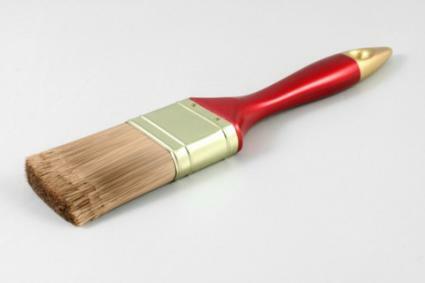 The following tips will help you create a beautiful, strong polyurethane finish. Always sand in the same direction as the grain of the wood. Start with an 80-grit sandpaper and work up (finer) from there. If you're not sure if a flaw has been removed, wet the area with mineral spirits and check it under a strong light. Use one of the newer gel stains that help you apply a uniform coat. Apply stain with a rag or brush and remove the excess before it's had a chance to dry. If you're working on a large project and have to stain in sections, avoid overlapping strokes. Applying a double layer of stain, even in a small overlapping strip, can cause color variations in the final piece. Finishes like polyurethane protect both natural and stained wood from moisture and discoloration. Even the oil on your skin can discolor bare wood over time. Polyurethane creates a moisture barrier that will keep your project looking newer longer. Polyurethane is available in two basic types, oil based and water based. Oil based: Slower drying oil-based polyurethane is easy to apply, but more of a hassle to clean up because you have to clean brushes and other tools with mineral spirits, naptha, or paint thinner. Because it contains oil, oil-based polyurethane offers substantial coverage that may require fewer coats than its water-based counterpart. Water-based: This type of polyurethane is a low odor product that's easy to clean and dries quickly. It can raise the wood grain though, and be tricky to apply, particularly on stained wood. Slower drying can either be an advantage or disadvantage depending on your perspective. If you plan on applying four coats and have to wait overnight for each one to cure, it can be a pain. When you're a novice, though, working with a slower drying product that's easy to apply without brush marks, it's probably worth the wait and a little mess. Make sure to work where you have good light. The best way to avoid gaps, sags, and bubbles is to catch and repair them immediately. Use a quality bristle or foam brush. Quality bristles are less likely to show brush marks. A two-inch width is good to start with. Go smaller for detail work. Allow each coat to dry completely. Sand each cured coat with 320-grit sandpaper. Completely clean dust from the area each time you sand. To keep dust from blowing onto your project, turn off all fans in the room. Use long, even strokes as you would if you were painting. Brush with the grain of the wood. If you are working in an area where you can't go with the grain, use a foam brush to minimize the chance of leaving a brush mark. Don't overload the brush. Keep your layers smooth and thin. Smooth seams at adjacent brush strokes while the polyurethane is still wet. There's a bit of an art to applying polyurethane, and it takes a bit of practice to master. You might want to practice on some scrap wood before you tackle more important projects. That way you'll be sure to produce a perfect finish you can be proud of.